It is my great pleasure to welcome you all: our Elected, Honorary and Associate Members and Friends! 2019 begins for our organization with preparations for our 106th annual exhibition scheduled at the end of August. Great news: this year we will offer to artists double the space for exhibiting their work! 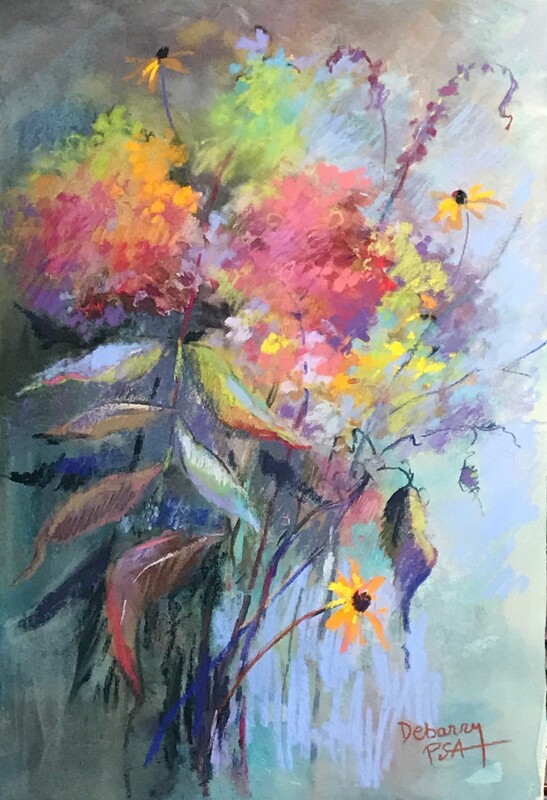 The exhibition will be held in both upstairs and downstairs salons of the Salmagundi Club, so many more artists will have the opportunity to be in the show. In a couple of months our new Prospectus will be ready. We will keep you informed so please visit periodically our Newsletter. In addition to the exhibition submission, you will find information on membership fees, donations and artists news. We also offer our Elected Members the opportunity to show their work on the Allied website – please refer to Artists Profiles. 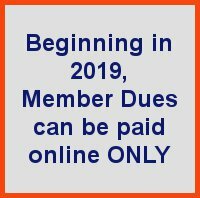 This year, while the Associate membership fee will remain the same at $40, we are raising the Elected Membership annual fee to $75; this comes as a direct result of the additional hike in the already huge expenses our organization incurs. We hope everyone will be understanding of this necessity. We thank you! 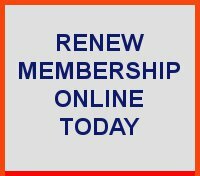 Paying your membership dues in a timely manner, in addition to the donations, is of essence. Our members and contributors are held in the greatest esteem . We thank you all with gratitude and appreciation for your generosity and support! Your commitment and dedication are making possible the preservation and advancement of American art through one of the oldest and most prestigious artistic forums, the Allied Artists of America! Wising you all a great New Year! I’m pleased to let you know that in this newsletter, we’ve honored Paul Jeynes and Dale Meyers with an expanded tribute to their life’s work. In Memoriam, we are also paying special tribute to Salvatore Indiviglia and Donald Patterson. In addition, it’s a thrill to present the winners of our on line juried show and welcome them to Allied Artists as our Newly Elected 2018 Members to our prestigious organization. In this revised edition of our Summer 2018 Newsletter, we are also excited to present the 2017 Elected Members. Mixed Media is a new category being recognized this year by Allied Artists as we continue to expand and grow. The generous contributions to the Gary Erbe Awards Fund are acknowledged within our newsletter as well. Contributions in support of the Gary Erbe Awards Fund, the Color Exhibition Catalogue, and/or general donations in support of Allied Artists of America programs may be made online here or send your checks payable to Allied Artists of America care of Christina Debarry, 10 Harvale Drive, Florham Park, NJ 07932. Please note on the memo line of the check the use to which your donation is directed. Thank you. Thank You For Your 2017 Donations! A special thank you to Dale Moss and Mary Kay Jeynes. 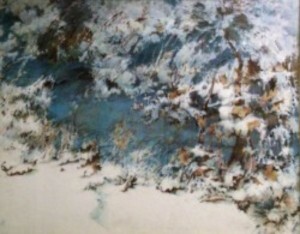 There is no doubt that the captivating, even beguiling, watercolors of Dale Meyers-Cooper will be etched in the history of both the American and global art scene and we at Allied Artists of America remain extraordinarily proud that Dale, as the trail blazer she was, became the first woman elected president of our illustrious organization. She served AAA for many years. We are very thankful for the new award and medal "The Dale Meyers Cooper Memorial Award" established in her honor. artists in this medium. 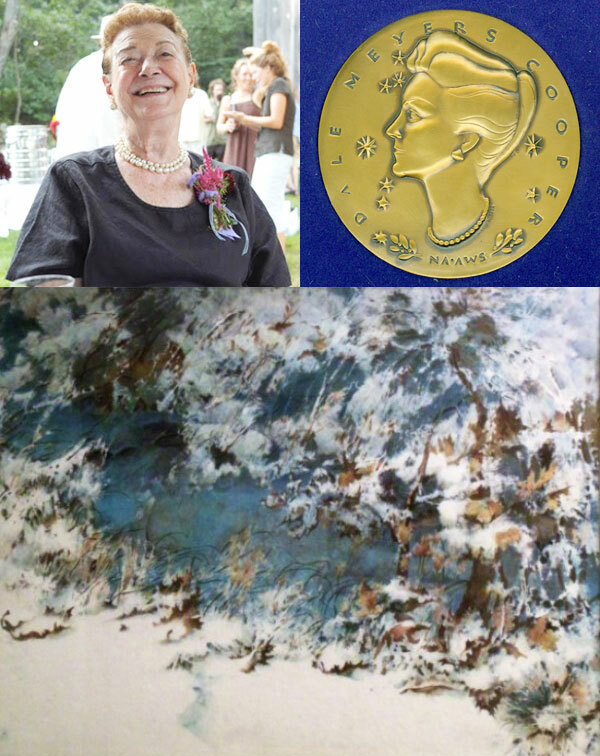 In 1980, my husband Mario Cooper, the eminent sculptor, watercolorist, and teacher, designed and executed the DALE MEYERS COOPER MEDAL for me to donate to art organizations to help them enhance their awards programs. It is a two and one-half inch bronze reproduction of my profile on a field of stars representing Aquarius, the Water-Bearer and my sign of the zodiac. The reverse side of the medal is blank so that the name of the organization and the recipient, date, and exhibition or painting (or whatever may be appropriate) might be inscribed by the presenters. society, and there are NO restrictions as to whether the work is to be transparent, abstract, traditional, or experimental. The only requirement is that it be in aquamedia. 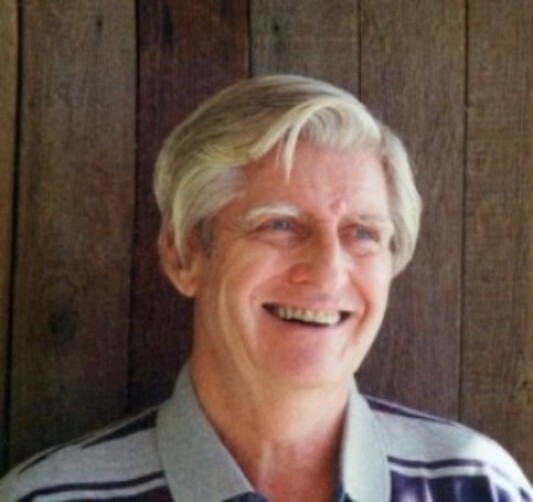 Dale Meyers Cooper, an exceptionally talented Artist and an Honorary Lifetime President of the Allied Artists of America, actively served as our President between 1975 and 1978. Dale Meyers Cooper died peacefully in her sleep on August 28, 2017, at East Longmeadow Skilled Nursing in East Longmeadow, MA. 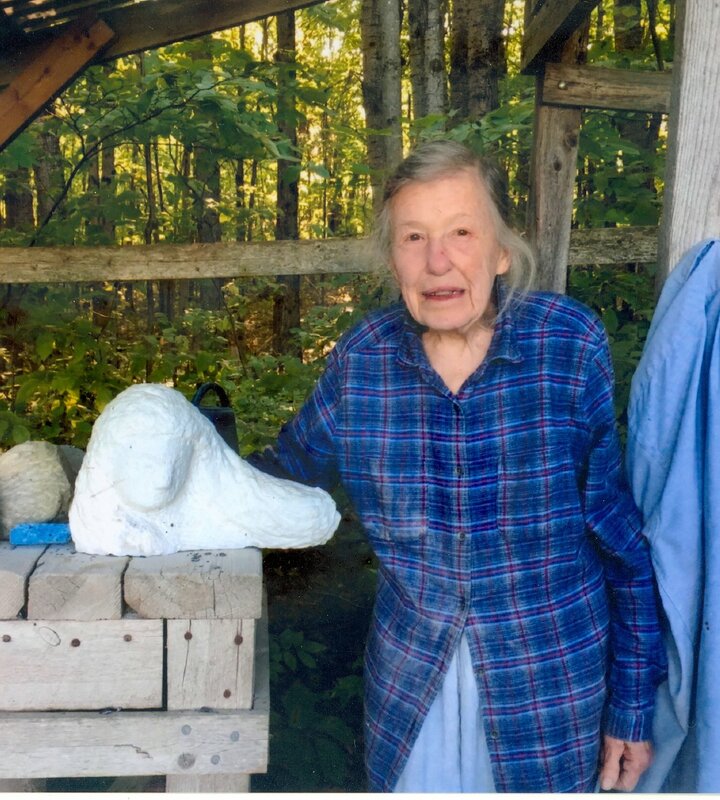 She was 95 years old at the time of her passing. 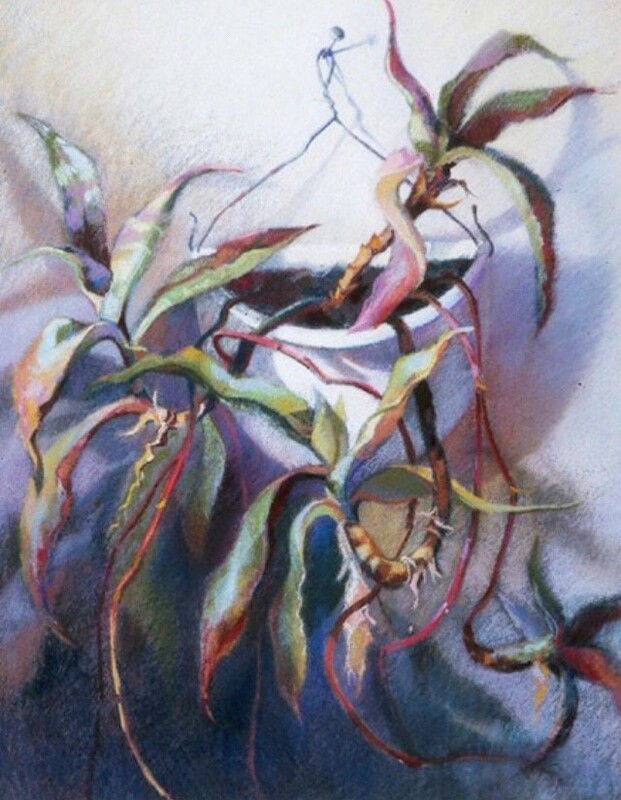 She was also a President Emeritus of The American Watercolor Society; the following vignette was published in the AWS Newsletter, founded by Dale herself in 1961, in Winter 1991. Dale served as President of AWS from 1993 to 2002. Why, everyone knows Dale Meyers! That may be close to the truth – but read on. It was Dale who started the AWS newsletter in 1961. She took the job of founding editor of the newsletter at the earnest request of AWS President Mario Cooper. He was not yet her husband, but she certainly must have been in love. Some five years later she began to introduce to her readers in a series of what she called vignettes the various members who were active in AWS operations. They were true vignettes – just a paragraph or two on each subject, with several grouped in each issue for a year or so, and these were the origin of the idea for the present longer biographies. Dale Meyers was born in Chicago in 1922. Her father’s family had come to this country from Baden Baden on the Rhine; her grandmother had been in Chicago during the great fire of 1871. Dale can remember her telling how she and her family stood in the waters of Lake Michigan as the flames raced across the city, but their home was spared. Dale says her own sweet tooth can be accounted for by the fact that her father William Wettever was an executive of a large candy company in the city – she remembers him bringing home at one time a gross of suckers. Fortunately, her grandfather and an uncle were both dentists. Her father also brought home sample booklets of wrapping papers and brightly tinted foils with which the little girl played by the hour. The little colored paper cups in which the chocolates were nestled were also a great fascination, but it was the colors of the foils which she loved the most and she believes artistic seeds may have been sowed at that time. Her mother’s family came from France, so in Dale’s veins runs the blood of two nationalities that have never been known to get along with each other. Even now she sometimes cannot let her right hand know what her left is doing. (Of course, we all suffer from that ailment, but most of us don’t have such a good excuse for it.) The Franco/German animosity did not cease with her parents’ marriage – in fact it intensified, and Dale and her sister became what are now known as latch-key kids. Dale says she doesn’t remember much of the custody battles; what she does remember is being parked somewhere once with a large box of her father’s stationery and four bottles of india inks. She did a one-artist shoe in one day, using all the inks and most of the stationery. Her mother went to Hollywood and became a designer of ladies’ fashions, achieving considerable success doing dresses for the starlets. She married again – an FBI agent who took Dale to the movies occasionally and impressed her by placing a big “Official Business” sign behind the windshield of his car when he parked it. In Winnetka, one of Chicago’s North Shore suburbs, Dale attended New Trier High School and says she has very fond memories of that privilege. The school was at that time, and still is, noted for its scholastic standards; its curriculum probably surpasses many a small college today. She then went to California to join her mother and attend Glendale College, continuing to major in art. Later she worked in the high-altitude division of a firm called AIResearch. She wasn’t in the high altitude – she was a secretary, but the FBI clearance that was required came in handy later when she was asked to work for NASA on Apollo II and the Mars-Viking projects. She applied for work at the Walt Disney studio but found they were in the throes of a difficult strike. By this time World War II was well advanced. Dale was wooed and won by a young man named Jay Crittenden, who graduated from the U.S. Naval Academy in Annapolis in ’41. Like most graduates of the services academies that year he found himself in active combat almost immediately. As a lieutenant aboard the heavy cruiser Pensacola he went through six major engagements in the Pacific Theatre. The ship was torpedoed and Jay’s roommate killed, but he survived. Upon his return to the States he and Dale were married. Fourteen months later she was a widow. Jay had gone into flight training in Dallas, got his wings in Pensacola and then began instrument flying instruction at Lake City, Florida., where he was killed in a mid-air collision. There was nothing Dale could do but return to California, where seven months later she gave birth to their daughter, Dale, Jr. While the girl was still an infant Dale went back to work, this time for American Airlines. There she met an employee of another airline, Robert Meyers of United, and in due time they married. Another move, this time to San Francisco, where her son Steven was born. However, since they were with the airlines they moved constantly: Los Angeles, Chicago, New York, Washington and back to San Francisco. Now the kids were growing up. During their time in the East, Dale and her daughter began to share a new mutual enjoyment and rapport: showing two long haired dachshunds to their eventual championships. Even Steve was roped into the act for an occasional brushing or walk, but it was the two Dales who got up at four AM to drive to Albany for a show, or spend two days in the basement of Madison Square Garden for the prestigious Westminster Kennel Club show. But her family was again moved to Washington, so Dale took up her studies at the Corcoran Gallery School of Fine Arts; at the same time she taught at the Kefauver School of Art, which was run by the wife of the late Senator. 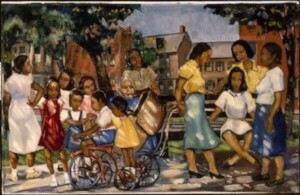 She had come to realize that her marriage was not working out, so she and her daughter returned to New York and she enrolled once again at the Art Students League. Her art was now her basic aim in life, but Dale, Jr. was at Wellesley College, so in order to support them both Dale went back to work and became the assistant to the head of a buying office for foreign department stores. This job required her to serve as secretary (a good, she says), typist (horrible typist), assistant buyer (pretty good), linguist (terrible) and product detective (a veritable 007). Along the way she met a lot of foreign buyers and learned, among other things, that you could not sell a garment in Sweden if it was blue and yellow because those are the colors of the Swedish flag, nor lavender in Latin America since that is a funeral color in those countries, and a black bow is never placed on a child’s dress in Peru. From the time she had to move back to Washington, she and Mario had kept in touch. In 1964 the problems in both their marriages had been resolved, so they were married in October of that year. Now, at long last, Dale was sailing into quiet waters. "Cheetah" - Pietro & Alfrieda Montana Award, 1991. 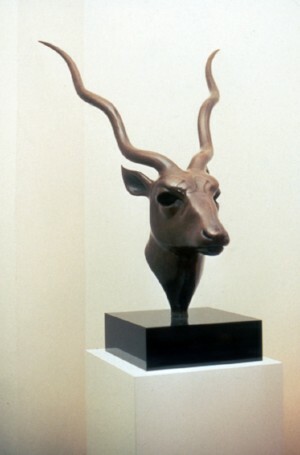 It was because of Allied Artists of America’s support and encouragement of Paul’s decision to become an artist (when he was in his late 40s and soon after he began sculpting wild and endangered animals) that he was pleased to make a bequest in his Last Will to establish “The Mary Kay and Paul Jeynes Memorial Award for an Animal Bronze Sculpture” to fund a prize of $500.00 that will be presented at Allied Artists of America’s Annual Exhibitions. It was Paul’s hope that these awards would also encourage and benefit others who chose to sculpt animals. When Paul was in his mid-forties, he left a successful business career to try and fulfill his childhood dream of becoming an artist. By the late 1970s, he was sculpting wildlife. In the early 1980s, Allied invited Paul to join its membership. 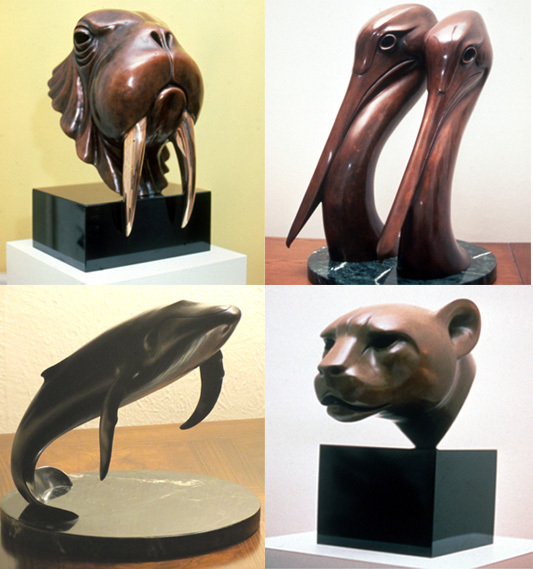 From 1984-1991, the four sculptures pictured above, received prestigious awards, and the timing was perfect: they recognized and enhanced Paul’s credentials as an artist. 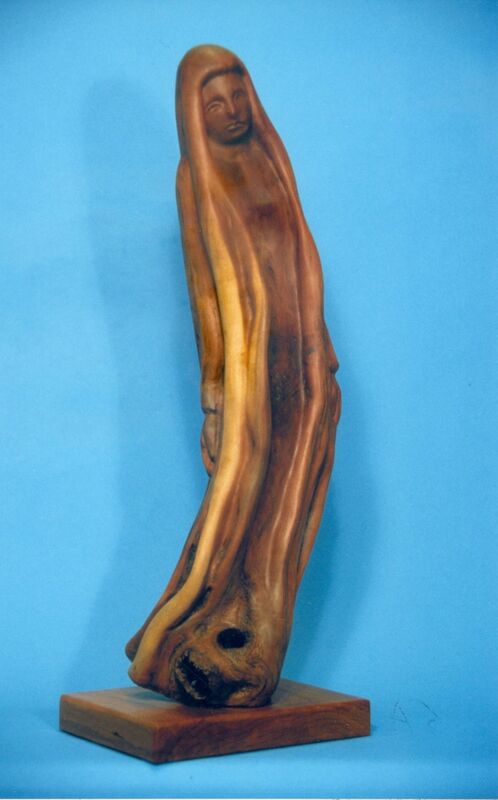 After receiving the last award, Paul decided not to enter future Annual Exhibitions, thereby eliminating his sculptures from competition so that others would be rewarded for their artistic abilities. In 1990, Allied acknowledged both Paul’s artistic and professional abilities by inviting him to participate in its Jury of Awards for the 77th Annual Exhibition; he was thrilled to be included in this esteemed group. Paul appreciated Allied’s early recognition of his creativity, and he faithfully continued his membership throughout his lifetime. Grand Prize Winner & Award Winners! Click here to view the winners & the show. Christina (Holowchak) Debarry resides in Florham Park, NJ. She was born in Lviv, Ukraine and immigrated to the United States in 1950. 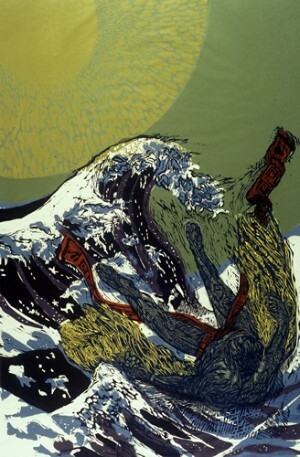 She received a three-year certificate from the Newark School of Fine Arts and a BS in Fine Art from New York University. Ms. Debarry took additional courses at the Art Students League of New York as well as private courses and workshops. 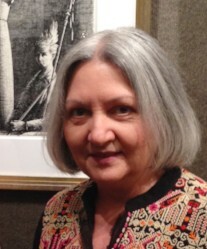 Ms. Debarry is also an elected full member and treasurer of Allied Artists of America. 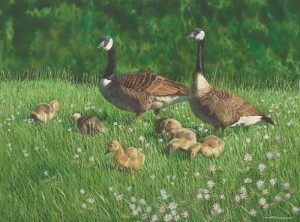 In addition, Debarry is a full board member of The Catharine Lorillard Wolfe Art Club, American Artist Professional League (Fellow) and Audubon Artists. 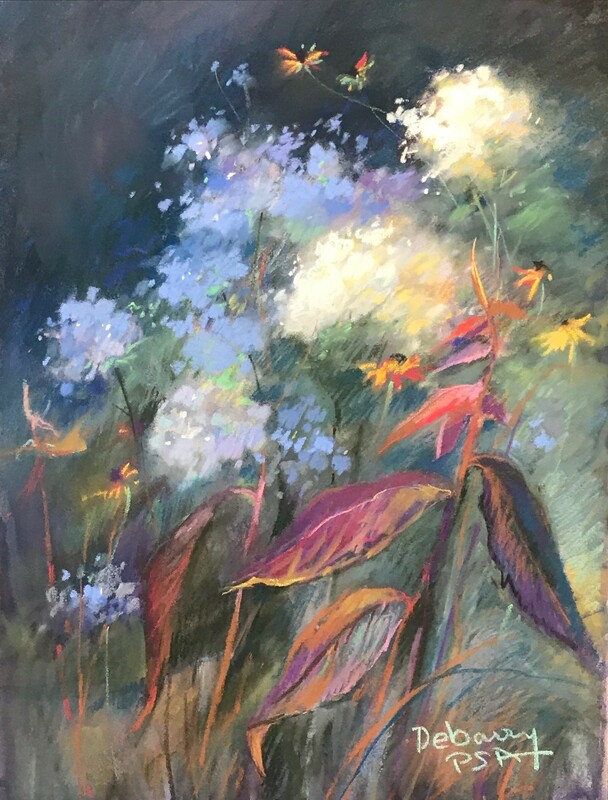 She has received numerous awards including a Dianne B. Bernhard Gold Medal for Pastel from Allied Artist of America and a Gold Medal for Pastel from Audubon Artists, Art Spirit Foundation Gold and the Pastel Society H.K. Holbein Award. 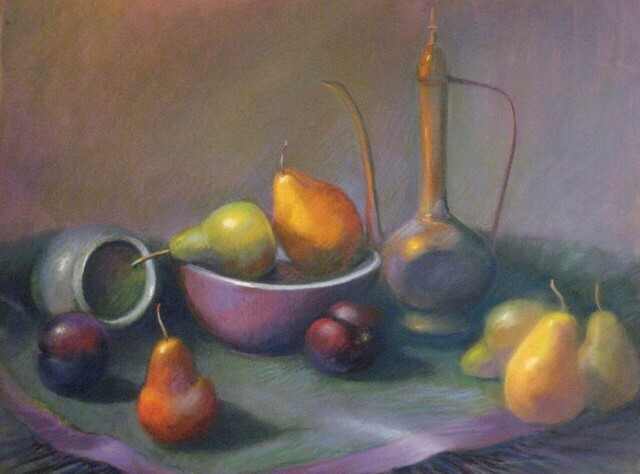 President of the Pastel Society of America from 1998 to2001; elected International Honorable Member of the Beijing Pastel Research Academy; 2006 Guest of Honor of the Art du Pastel en France, Giverney, France, served on the Board of Directors of the Catherine Lorillard Wolff Art Club (2015). Debarry is Past President of the Pastel Society of America. She is listed in Who’s Who in American Art. In 1997, she traveled to China and gave demos as a guest of the Chinese government. 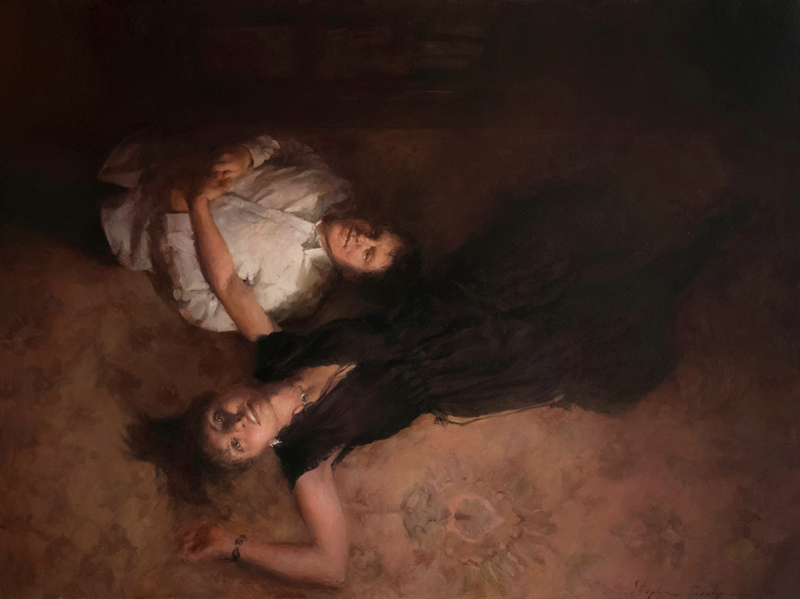 Most recently, she exhibited her pastels at the International Pastel Exhibition Invitational, Contemporary Art Academy of Qindao (2014), and the Xi'an Art Museum Invitational, Taiwan Museum, Taipei (2014-2015), amongst others. 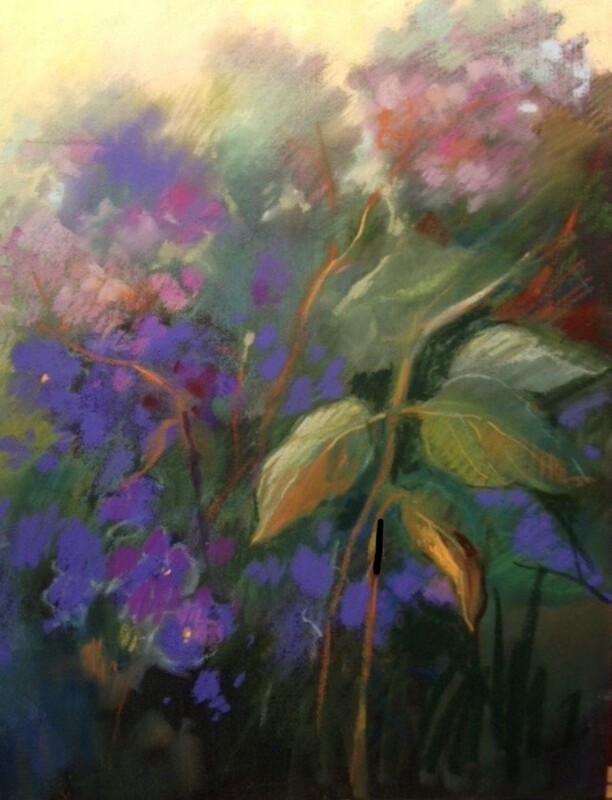 Her pastels have been reproduced widely, appearing in such works as the International Pastel Artist Invitational Exhibition Catalogue (2010; 2012); American Artist; Artist's Magazine; and Pastel Journal. 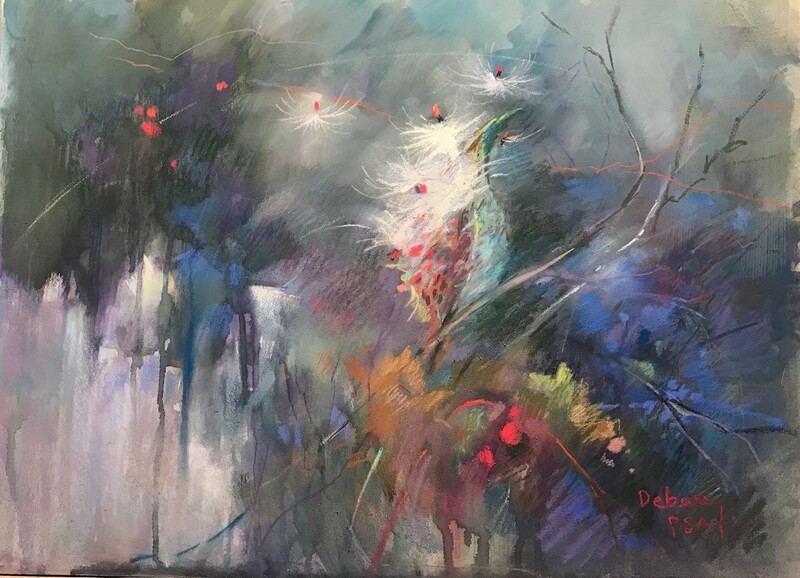 Debarry gave pastel workshops in Texas, Martha’s Vineyard, Michigan, Minnesota, North Carolina, South Carolina, Louisiana, Provence, France, Acapulco, Mexico,,Canada and Bermuda. 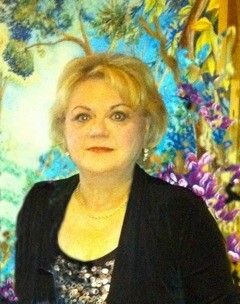 Allied Artists is proud to feature Christina Debarry as an artist in our prestigious community. Copyright © 2018 Allied Artists of America, All rights reserved.